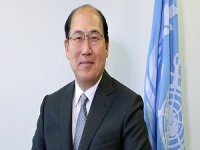 The Marine Environment Protection Committee (MEPC) of the International Maritime Organization (IMO) is expected to finalize and approve proposed amendments to the MARPOL Annex VI regulations to reduce harmful emissions from ships, when it meets for its 57th session from 31 March to 4 April, at the Royal Horticultural Halls, London. The Committee has a packed agenda, which also includes the current draft of a proposed ship recycling convention and issues relating to the implementation of the 2004 Ballast Water Management Convention. The MEPC is expected to finalize and approve proposed draft amendments to MARPOL Annex VI, and the NOx (Nitrogen Oxide) Technical Code, with a view to adopting the amendments at MEPC 58 (which meets from 6 to 10 October 2008), in accordance with an agreed timetable. Annex VI Regulations for the Prevention of Air Pollution from Ships entered into force in May 2005 and has been ratified by 49 countries, representing approximately 74.77% of the gross tonnage of the world"s merchant shipping fleet. 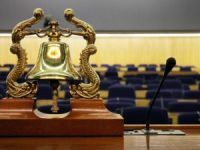 The MEPC will review the draft amendments, agreed by the IMO Sub-Committee on Bulk Liquids and Gases (BLG) when it discussed the proposed amendments in detail at its 12th session in February. A number of options remain open for discussion at the MEPC, particularly in relation to measures to reduce emissions of sulphur oxide (SOx) and particulate matter (PM) from ships and possible NOx standards for existing engines installed in ships constructed before 1 January 2000. The outcome of the Informal Cross-Government / Industry Scientific Group of Experts, established by IMO Secretary-General Mr. Efthimios E. Mitropoulos to evaluate the effects of the different fuel options proposed under the revision of MARPOL Annex VI, which was considered by the BLG Sub-Committee, will also be brought to the attention of the Committee. Two working groups will be established, one dedicated to the review of MARPOL Annex VI and the NOx technical Code as well as other air pollution issues, and another working group will consider issues relating to the reduction of greenhouse gas emissions from ships, in line with a work plan agreed previously. 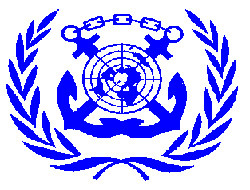 The report of the intersessional Correspondence Group on GHG-related issues, which was tasked with discussing and compiling possible approaches on technical, operational and market based measures to address GHG emissions from ships, will be considered, along with other relevant submissions from Member Governments and non-governmental organizations in consultative status with IMO. 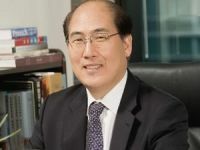 A proposal from the Secretary-General to expedite the work on greenhouse gas emissions ahead of schedule will also be considered by the MEPC. This would see some elements of the agreed work plan, namely completion of the CO2 Emission Indexing Scheme and the CO2 emission baseline(s), finalized ahead of schedule by October 2008, with the remaining work finalized by July 2009 as per the agreed timetable. The IMO Assembly and Council, which met in November 2007, expressed support for this intended action. The MEPC agenda item on air pollution has a record 49 submitted session documents requiring action of the Committee and 11 information documents. 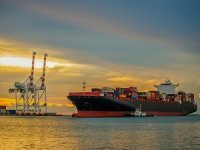 The MEPC is expected to consider further the draft text of a new convention providing globally applicable ship recycling regulations for international shipping and for recycling activities. The aim is to complete the draft convention in time for its final consideration and adoption by a diplomatic conference in 2009. 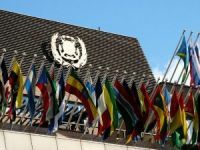 The MEPC will consider submissions from IMO Member Governments and non-governmental organizations in consultative status with IMO, including documents presented by the International Organization for Standardization (ISO), the International Labour Organization (ILO) and the Secretariat of the Basel Convention. To date, 12 States (Barbados, Egypt, Kenya, Kiribati, Maldives, Nigeria, Norway, Saint Kitts and Nevis, Sierra Leone, Spain, Syrian Arab Republic and Tuvalu) have ratified the International Convention for the Control and Management of Ships" Ballast Water and Sediments (BWM Convention), adopted in February 2004, representing about 3.46% of the world"s merchant shipping. In accordance with article 18 of the BWM Convention, the Convention shall enter into force twelve months after the date on which not less than thirty States, the combined merchant fleets of which constitute not less than thirty-five percent of the gross tonnage of the world"s merchant shipping, have become Parties to it. 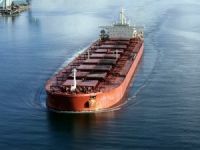 Bearing in mind the emphasis the international community places on the issue of invasive species in ships" ballast water, the Committee is expected to urge other States to ratify the Convention at the earliest opportunity. The MEPC is expected to decide on proposals for ?basic approval? and ?final approval? of ballast water management systems that make use of Active Substances, after consideration of the report of the fourth and fifth meetings of the GESAMP Ballast Water Working Group, which met in November 2007 and January 2008. The Working Group has considered seven proposals, and is recommending that Basic Approval could be granted to four proposals and Final Approval be granted to one proposal. The Committee will consider giving final designation of the Papahãnaumokuãkea Marine National Monument, in the area of the North-western Hawaiian Islands (NWHI), as a Particularly Sensitive Sea Area (PSSA). The PSSA will protect a unique, fragile and integrated coral reef ecosystem that consists of an approximately 1,200-mile stretch of small islands, atolls, banks, seamounts, pinnacles, shoals and other emergent features. The MEPC designated the PSSA ?in principle? at its last session, pending adoption of associated protective measures (APMs) by the Maritime Safety Committee (MSC), in October 2007. These measures have now been adopted. The APMs include amendments to the six existing Areas To Be Avoided (ATBAs), which were adopted by IMO in 1981 to protect eight of the NWHIs, and the adoption of additional ATBAs around Kure Atoll and Midway Atoll as well as three other areas between islands. In addition, a ship reporting system provides critical alerts and other information to assist safe navigation in this area and to provide information on vessel traffic in transit through the proposed PSSA, to facilitate the ability to respond to maritime emergencies. The MEPC will consider a submission from the Mediterranean coastal States (Albania, Algeria, Croatia, Cyprus, Egypt, France, Greece, Italy, Lebanon, Malta, Monaco, Montenegro, Morocco, Slovenia, Spain, Syria and Tunisia) declaring that all the necessary reception facilities for garbage, as required by MARPOL Annex V, are available and cover the relevant ports within the region. The submission requests the MEPC to establish a date from which the discharge requirements in respect of the special area under MARPOL Annex V for the ?Mediterranean Sea area? shall take effect. In a special area under MARPOL Annex V, disposal into the sea of the following is prohibited: all plastics, including but not limited to synthetic ropes, synthetic fishing nets and plastic garbage bags; and all other garbage, including paper products, rags, glass, metal, bottles, crockery, dunnage, lining and packing materials. Governments, the coastlines of which border a special area, undertake to provide reception facilities. The MEPC will be invited to consider the report of the seventh meeting of the OPRC HNS Technical Group, which is being held in the week prior to the Committee"s session and is expected to consider, for approval, the draft Manual on oil spill risk evaluation and assessment of response preparedness; the draft IMO/UNEP Manual on the assessment and restoration of environmental damage following marine oil spills; the draft revised Manual on oil pollution, Section I ? Prevention; and the revised OPRC Train-the-Trainer course.